CoolSculpting* is the coolest, most innovative, non-surgical way to lose those annoying bumps and bulges of stubborn fat. This revolutionary, non-surgical contouring treatment targets and freezes unwanted fat cells, which are then naturally eliminated from your body. No needles, no special diet, no supplements, no surgery and most importantly, no downtime. It’s safe, FDA-cleared and effective. Results look natural and can be seen as early as three weeks following the treatment. Want to sculpt your body twice as quickly? Try DualSculpting, in which we use the power of two CoolSculpting devices to treat multiple areas at once. That means you can experience shorter treatment times, fewer side effects and an overall more comfortable experience. 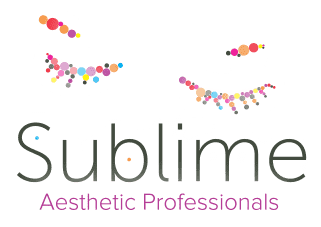 Call Sublime in Minot for a free CoolSculpting consultation today! *Currently, only available at our Minot location. What happens during the treatment? To initiate the treatment, we will position the device on your body. The device will then draw the bulge up between two cooling panels. The sensation is a firm pull and pressure – enough of a pull to ensure the selected tissue will be cooled most efficiently. An hour or so later, depending on your needs, you’re done. CoolSculpting is completely non-surgical, so typically you can return to normal activities immediately. Some patients experience redness, minor bruising, tingling, numbness or discomfort in the treated area, but this is temporary and will resolve completely. Oftentimes, patients return to work after the session is over.